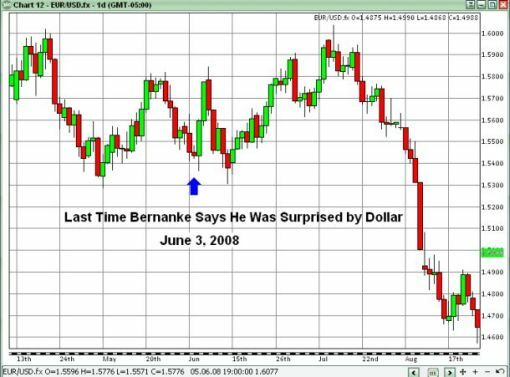 How Far Can Dollar Rise on Bernanke Comments? I am a long term USD bear Why The Dollar Could Fall Another 5-7 Percent but as a trader first and analyst second, I know that uptrends do move in straight lines. Take a look at the chart and make your own judgement. I am leaving for the Las Vegas Traders Expo tomorrow. Come by the GFT booth to say hi if you are attending.